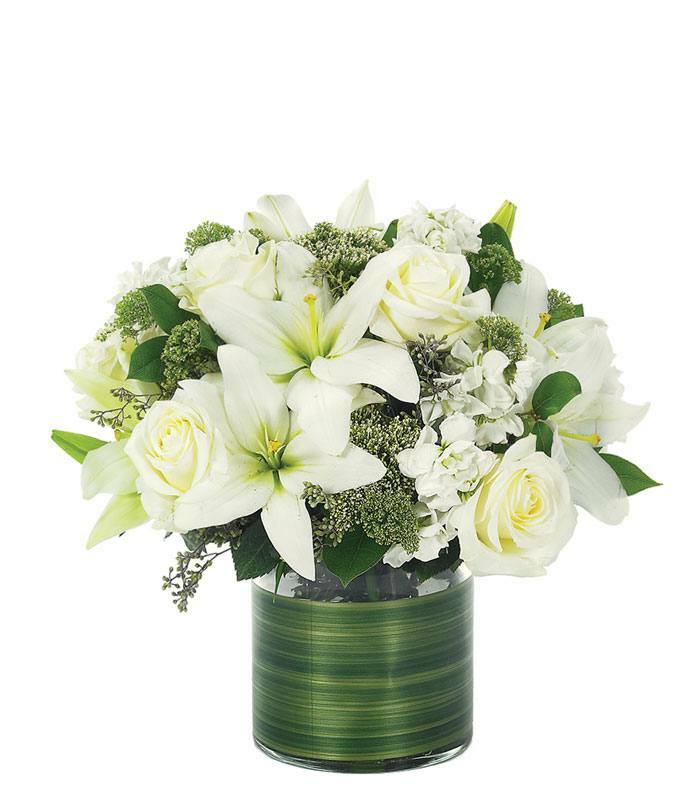 Elegant from every conceivable vantage point, this extraordinary bouquet emphasizes the beauty of trachelium, Asiatic lilies and roses. A pretty ribbon and great looking cylinder container finish off the look in grand style. Same day flower delivery available. Measures 13"H by 13"L.